All of our instructors are fully insured, fully qualified, CRB checked and have attended a Working together to Safeguard Children and Young People course to ensure we provide the safest training environment possible for yourself and your family. James has trained with the Elemental Kickboxing Leeds since 2012 and has trained with David Kenyon (4th Dan) since 2009. With excellent form and technique James is a patient and well rounded instructor. Similar to all of our instructors his dedication for kickboxing shows through his hard training ethics and passion for the sport. 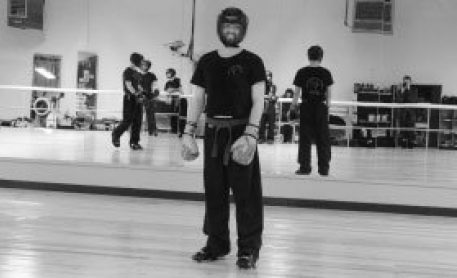 As committed member of Elemental Kickboxing Leeds he is always focused on improving his own ability as well as the ability of the members he teaches.